Research-based, individualized attention helps kids build skills many of us take for granted. 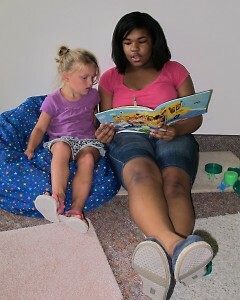 Therapy and Fun is just one of the many learning opportunities Comprehensive Therapy Center provides. Check out their other programs and options for volunteers. Where can you find kids counting recycled bottles, singing before snack time or barreling into stacks of cardboard boxes? Hint: it's the same place you'll find them practicing conversation skills, crawling through fabric tunnels and fashioning turtles from mint chocolate chip ice cream cartons. Give up? They're at Comprehensive Therapy Center's 7-week summer program, Therapy and Fun. Three mornings a week, the program serves a score of children in need of speech-language therapy and occupational therapy. Children participate in individual and group motor, sensory and language sessions led by therapists. 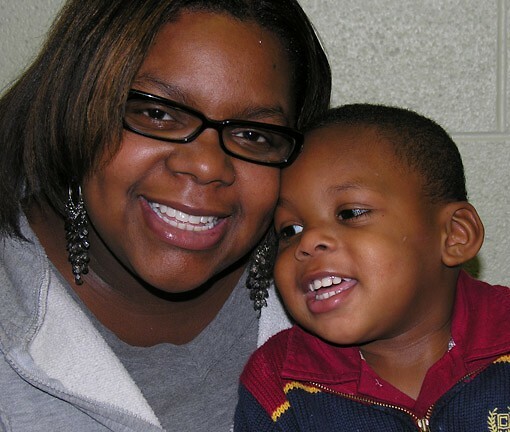 “Research shows that the brain connections for sensory, motor and language need to be established or in use by the child before they can learn to read,” says Terese Smith, a former employee of the center and an enthusiastic advocate of the program. She explains a child's skill set as a pyramid: the five senses create the base, followed by the sensory system that helps children understand their environment. The third layer allows the child to coordinate two senses together—eye-hand, eye-ear. Next come language and motor skills development. Because of serious gaps in their sensory, language and motor skills, children with disabilities need extra help with the climb. Each client has specific goals to help him or her reach the next level of the pyramid. And all of this is accomplished through play. Children practice skills through enhancement activities such as arts and crafts, songs, and reading storybooks with highly trained teenaged volunteers. 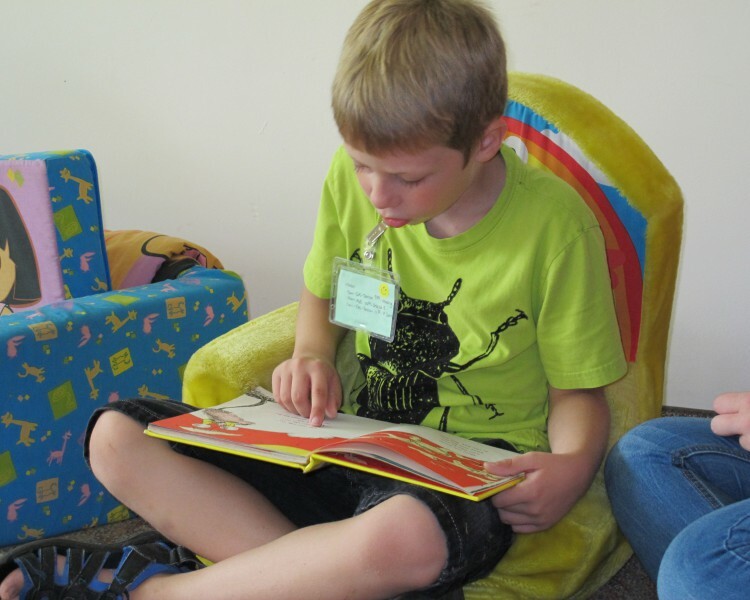 Reading one-on-one with a volunteer exposes a child to books and words, and requires the child to exercise skills in several areas: language (engaging with the story), motor (sitting properly and holding a book correctly), and sensory (focusing on the story). The hard work is paying off. One of the program staff's favorite success stories is about Daniel, a boy with Cerebral Palsy. The therapists were helping him build facial muscles to speak and, when he was two years old, he gave his mother his first kiss. “His mom was totally surprised and thrilled when Daniel actually puckered up and gave her a kiss,” Smith shares. Today, Daniel is four years old and uses an iPad to communicate. He is still striving for spoken language and he is well on his way to accomplishing pre-reading skills.